Would you like to have an idea of how heaven could look like? Would you like to forget for one day your everyday troubles and let yourself be enchanted by perfumes, colors, surprising glimpses, magic musics and reconcile with yourself and with the world? 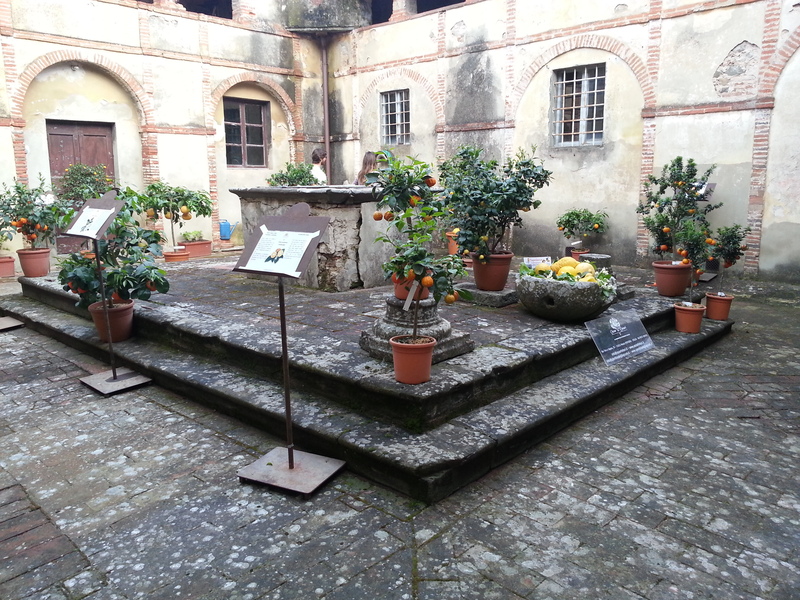 Then you cannot miss a visit to Buggiano Castello Sunday, April 28 and Sunday, May 5, days when the secret and private citrus fruits and flower gardens of the village are open to the public. Buggiano Castello is situated on a hill nearby Montecatini Terme and enjoys a special privilege: it is exposed to the south and has a microclimate that allows the happy growth of all sorts of citrus fruits and plants that need plenty of sunshine, mild temperatures in the wintertime, protection from cold winds, and that receive the proper quantity of water. 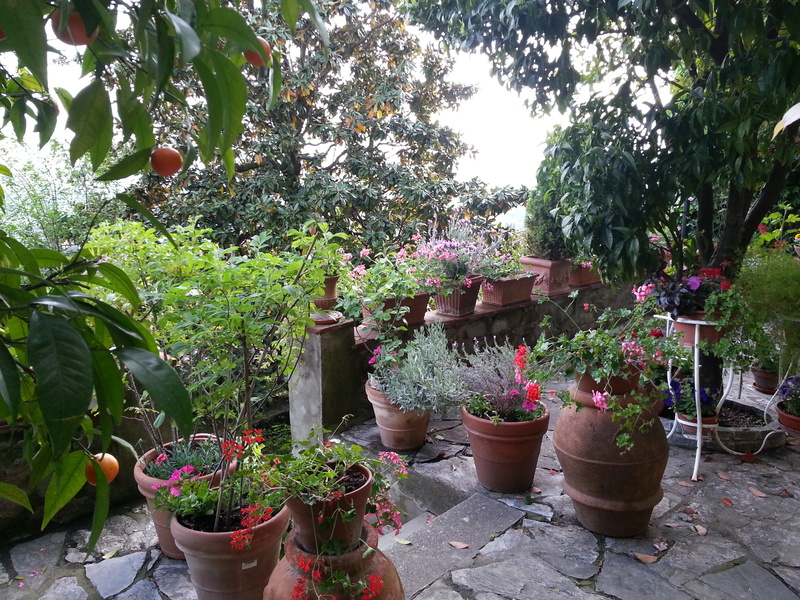 At Buggiano Castello this combination is perfect, and produces a magic mixture that allowes on every terrace created along the hill, even in very small spaces, lush and luxuriant growth of plants, producing an explosion of colors and scents that make us really feel in paradise. During the opening days of the gardens the inhabitants offer to the visitors the privilege to enjoy the beauty, opening to visitors their gardens which aren’t called secret by chance. Small plots of land cultivated with love by the owners are hidden in enclosures within the walls of the houses. The gardens are revealed only once every two years, when they are opened to the public during the festival called “the countryside within the walls”. 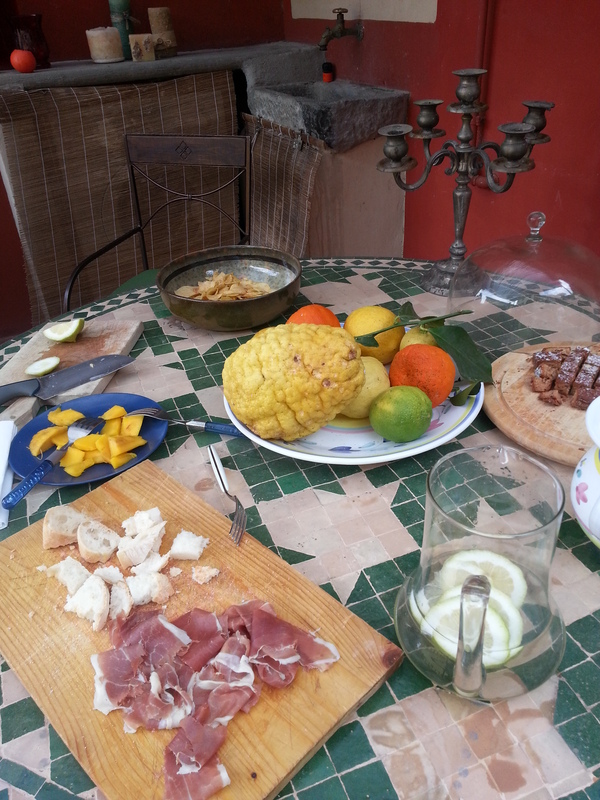 On these days a sort of competition arises between the owners: each garden is decorated and the guests are greeted with soft music and themed foods, accompanied by the warm wind, the scent of flowers, the smell of oranges and lemons, and the sound of musical instruments and chatter. The whole scene forms a concert of emotions which surprises newcomers. These same gardens help to better understand village history. They were created as vegetable gardens to provide for their owners’ food self-sufficiency (with the sole exception of the Baroque garden of villa Sermolli, a seventeenth century mansion), and only later on they were transformed into ornamental gardens. Even citrus fruits shared a similar fate, closely linked to the growing welfare of the area: while initially they were used to produce jams, they are now elements of “uniqueness”. Now there are a total of sixteen secret gardens, all gathered in an open-air museum system. Each garden has its own name, character and structure, and a history of its own to discover. 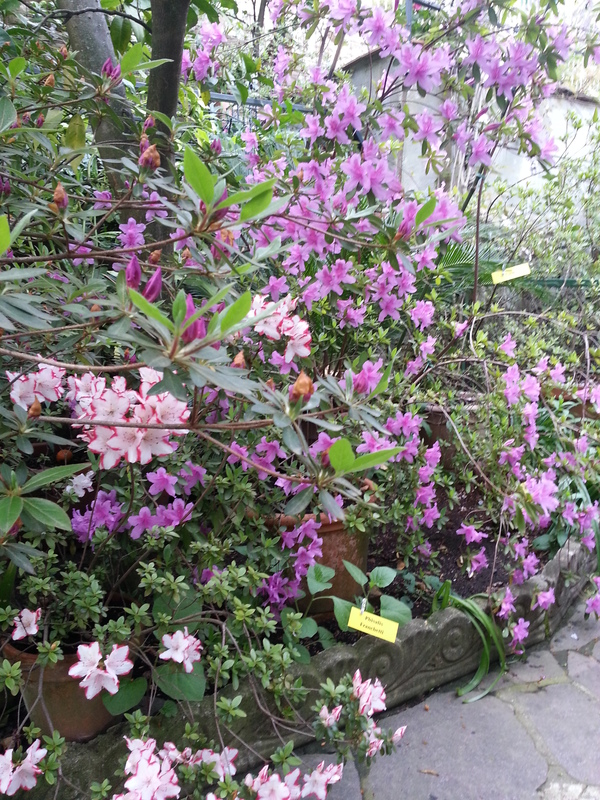 Open-house visit to the private hidden gardens of Buggiano Castello on Sunday April 28 and Sunday May 5 from 9 am to 1 pm and from 2 pm to 7 pm. The visit takes approx. 3 hours. 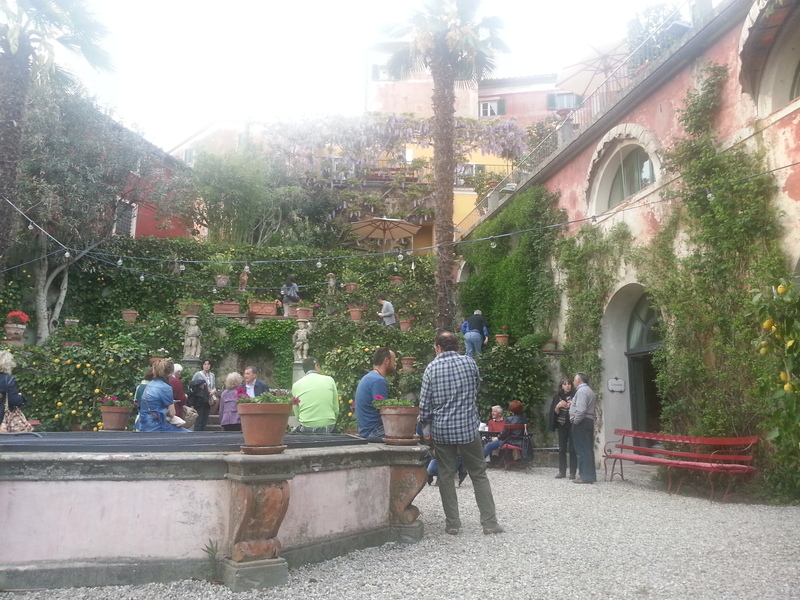 Gallery | This entry was posted in April 2019, Events in Montecatini Terme, May 2019, Uncategorized. Bookmark the permalink.